Who will need a wrecker in Fort Worth? Fort Worth, let’s keep needing a wrecker a thing from the past! Fort Worth is such an awesome town! It’s all about culture. From the Old West to fine art, it’s where we all want to be, especially on New Year’s Eve! The weather forecast for Fort Worth, though not horrendously cold, does have a slight chance of rain as well as dipping down to the freezing mark. It’s not going to be one of those nights you want to be stranded on the side of the road, hoping a wrecker comes along. We always like to recommend regularly scheduled preventive maintenance. No one wants to miss out on the fun. And standing out by your car in the cold when you could be at the party in Fort Worth is no one’s idea of fun! In the unfortunate situation that your vehicle does breaks down, don’t hesitate to give us a call. 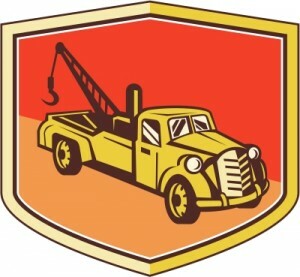 We have a wrecker service on standby. One last thought, Fort Worth. We know it’s New Year’s Eve! It’s time for the ultimate party of the year! For 365 days, you’ve been looking forward to this exciting event. But, a little “too much fun” can turn into not so much fun in a hurry. The last thing we want to see is your vehicle kissing a tree – needing a wrecker! Before you head out to the party, we encourage you: be safe and have a designated driver! From all of us at B&M Auto Specialists – Happy New Year!